In an unexpected development, the Scottish National Galleries’ Friday evening ‘Picasso By Night’ event played host to one of the most talked-about bands to come out of Scotland in recent years. 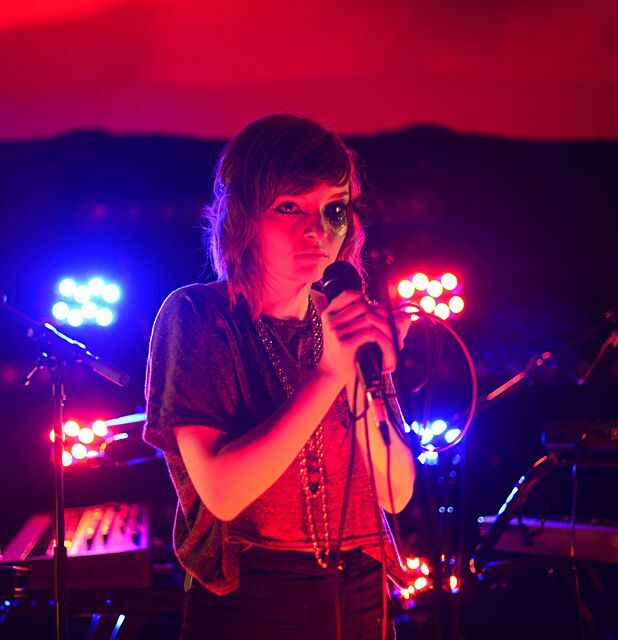 While art lovers upstairs listened to curator’s talks and poetry readings, the downstairs café was transformed into a dark and intimate live venue for Glasgow trio Chvrches (formerly Churches). In a little over half an hour, singer Lauren Mayberry (The List’s LGBT editor) and synth-pushing musicians Iain Cook and Martin Doherty (between them, veterans of Aereogramme, Unwinding Hours and Twilight Sad) dispelled the notion that they’re the product of one good track and a slew of well-targeted and fortuitous hype. They look the part, Mayberry wearing a streak of glitter across one eye and Doherty in ravey baseball cap and Nicki Minaj t-shirt, and their sound runs a range from the crystalline synth-pop of that debut track ‘Lies’ (with added ‘Fix Up Look Sharp’ bass crunch, as remarked upon everywhere) to the insistent, techno-style build-up of ‘Science’ and the fiercely contemporary digital anthem ‘Night Sky’. The next single ‘The Mother We Share’ is a tentative step forward, but it still wouldn’t sound out of place on Radio 1’s A-list. Scottish National Gallery of Modern Art, Edinburgh, Fri 28 Sep. Explore the Picasso exhibition after dark, with added fun in the form of poetry performances, curator talks, Spanish lessons, Spanish cocktails and music from Glasgow band-of-the-moment Churches. The band from Cambridge, Massachusetts, led by singer-songwriter Michael Angelakos, performs synth-laden electropop and indie-rock to promote the album Gossamer.